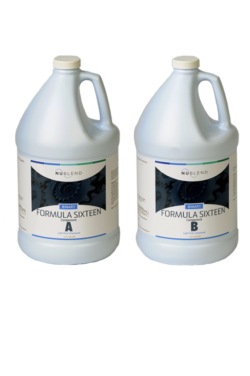 When Component A and Component B are combined together, produces a Citrus Fortified Cleaner. The original nonbutyl cleaner fortified with citrus solvent. USDA Rating C-1. 4 x 1 gallon cases (1 case Formula Fourteen Component A, 1 case Formula Fourteen Component B). 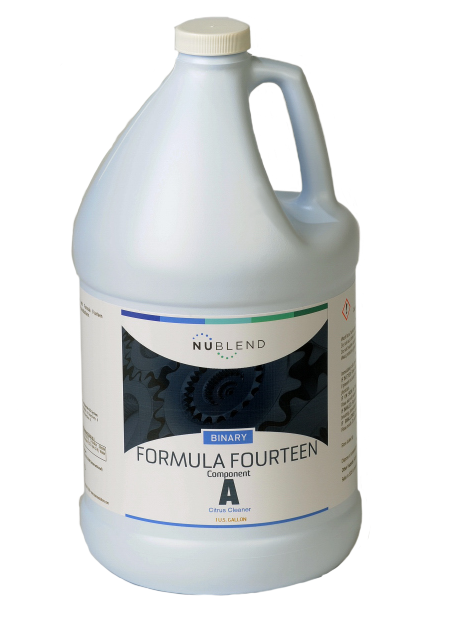 This produces 55 gallons of Concentrated Formula One Degreaser. 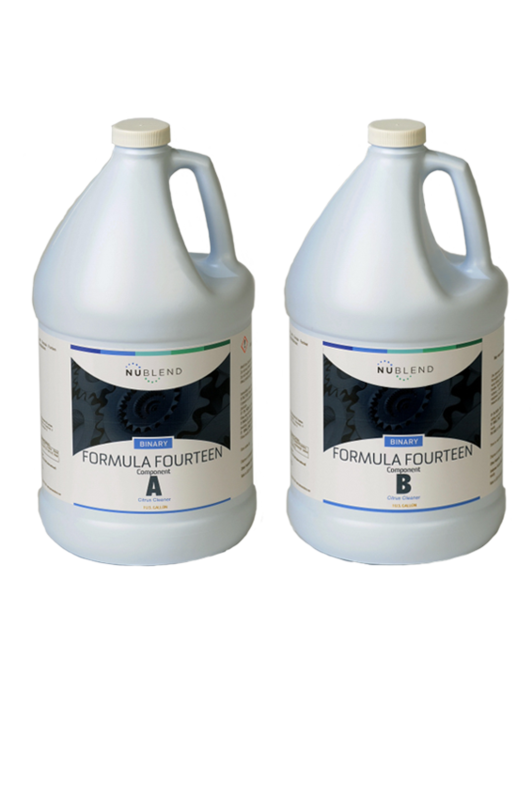 55 gallon drums (1 drum Formula Fourteen Component A, 1 drum Formula Fourteen Component B). 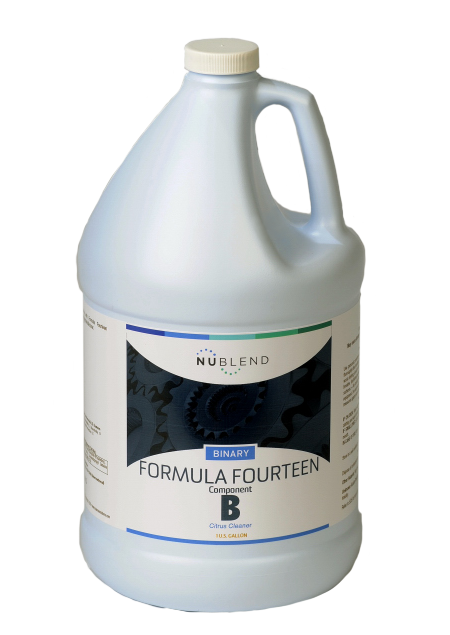 This produces 756 gallons of Concentrated Formula One Degreaser.